"We have found them to be honest, creative, thorough, and problem solvers." We have enjoyed a long relationship with Royal Sign and often partner with them when we need specific signage expertise brought to the table. We have found them to be honest, creative, thorough, and problem solvers. Their knowledge of signage design, construction, and local Codes regularly contributes to a superior product and installation. Thank you Royal for your services. RA Butler Design Group, Inc.
"...they always produce signs that are attractive and stand the test of time." At an outdoor center like Kierland Commons, it’s imperative that only the highest quality signs are used by our retailer and restaurant tenants. Royal Sign thoroughly understands our center signage criteria, community noise restrictions, and they always produce signs that are attractive and stand the test of time. 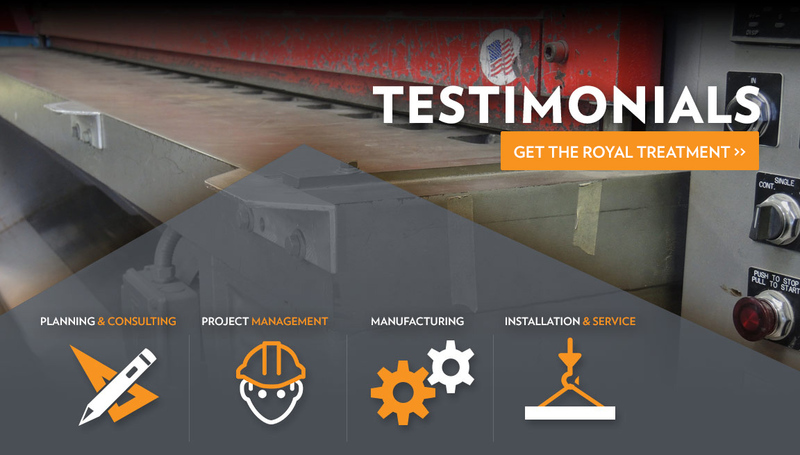 sAfter nearly a decade of doing business with Royal, we have the comfort of knowing that when they’re on the job, it’s going to get done right. I strongly recommend this company for all of your signage needs. "Royal Sign knows what to do." Complete and accurate submittals. Royal Sign knows what to do. "I would recommend Royal Sign for all of your signage requirements." Royal Signs has been an integral part of our business for over 15 years. Their customer service, knowledge of the requirements by the various cities and municipalities and general help with signage, has been invaluable to the growth and success of our business. I believe it has been a fulfilling and prosperous partnership for both parties. I would recommend Royal Sign for all of your signage requirements. "In all my years I have never had a company representative show such detailed accountability." In all my years I have never had a company representative show such detailed accountability. It is nice to get good pricing, on time delivery and excellent manufacturing quality, but I am most appreciative of the levels of communication I receive from my representative. It seems as though he reads my mind. He knows the type of concerns I would have and reacts before I call him. He is proactive and supports our company processes (which are unique.) He solves problems before they could happen. "They have the expertise and experience to deal with any sign challenge..."
My experiences with the Royal team in the design, permitting and construction of any & all sign related projects has been extremely positive. They have the expertise and experience to deal with any sign challenge with creative ideas that have served to enhance my original expectations. I highly recommend Royal Sign for any commercial or residential sign project. "Very personable customer service, quick installs and top notch products." My experience with Royal Sign has been great. Very personable customer service, quick installs and top notch products. "Work is always completed quickly and on time." Sonora Quest Laboratories has been using Royal Sign for most of our Patient Service Center building and vinyl door signage needs for the past few years. Work is always professionally prepared and installed, meeting all of our specifications. Pricing is competitive and when necessary, signs have been adapted and manufactured to meet our needs as well as special needs of certain properties. Work is always completed quickly and on time. "Our sales rep at Royal was wonderful to work with." Our sales rep at Royal was wonderful to work with. He went above and beyond to get us what we needed and to work with the city through all of the red tape to get the sign we wanted approved. What a gem! We received several quotes from different sign companies and Royal was not only the better deal, but the customer service that came with it was more that we thought possible. Our sales rep kept us informed of everything that was happening as soon as it was happening and his response time was better than anyone we have dealt with. As far as I am concerned Royal will be my only stop for any new sign projects. "...Royal Sign proved to be highly committed, progressive and provided great vision..."
Royal Sign is a leader in the category of commercial sign creation and installation. Our company selected Royal Sign to help us grow our dealership presence in an area previously stagnated by the economic downturn. The team at Royal Sign proved to be highly committed, progressive and provided great vision that helped guide our dealership to higher ground, despite market conditions. We look forward to growing our business in the future with the team at Royal Sign. With their level of engagement we have no doubt we will accomplish all of our goals. Royal Sign has been great to contract with and they do quality work. Principal & CEO | Fork and Dagger, Inc.
"Royal Sign has proven to be an extremely reliable business partner." Royal Sign has proven to be an extremely reliable business partner. They have continually met expectations in regard to the quality and the timing of our signage needs. "Royal Sign is a sub/contractor I never have to worry about..."
Royals Sign is a sub/contractor I never have to worry about...they are and have been always above reproach. They make it easy for Mahalo Company to recommend them to our clients. "I need to compliment you and your crew once again on a fantastic install." I need to compliment you and your crew once again on a fantastic install. This was an easy install in theory but I ended up running into that same issue with the lighting in the cash wrap at all 7 locations and your guys were the only ones that took the time to do it right. To clarify, we made it look correct in all locations but your guys are the only ones that notched the bracket out like that to stick with the original design and intent of the install. "Working with Royal Sign is always a great experience." "Royal Sign is a professionally run, first class business." Royal Sign is a professionally run, first class business. I have been working with Royal for the last three years and it has been a true pleasure. From the beginning starting with permits, to survey, to the excellent install crew I never have to worry about anything. Royal is a very valuable partner to Ruggles Sign Company. We all here at RSC feel very fortunate to have forged this awesome relationship.